As with all our forms, Brian spent time researching and observing the animals he planned to create. We hope his life-like forms will help you bring your taxidermy projects to a higher level of realism. The 1100 Series features bobcat in a climbing position. Fits Rock #5. Features bobcat in a relaxed position. Gives you the option of putting the seam on the underside. This form can be mounted as is or with prey between its legs or stalking prey. Features an alert bobcat stalking his prey. A great mount for the showroom or any sportsman's den. Features a bobcat leaping. Defend or retreat? This is the form Brian Harness used to win "Best in the World" 2009. 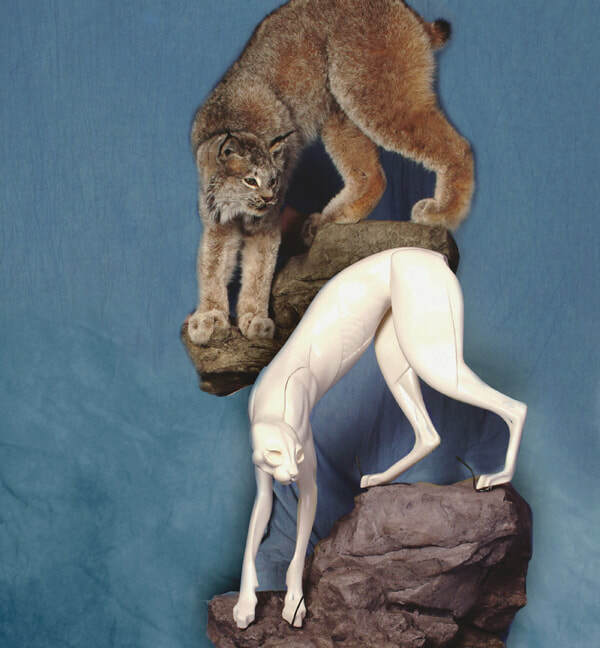 This form portrays a bobcat preparing for an afternoon of hanging out on his favorite perch. We've paid careful attention to accuracy. Give it a try, you'll love it!